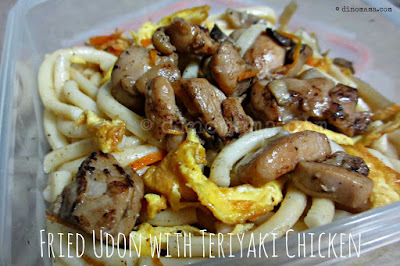 I have goldfish memory and peg that with the bad habit of not making a note (physical or mental) before I head off to the supermarket to get groceries, I sometimes ends up with too many of 1 or 2 ingredients. Recently I found myself with a few half packets of Cheddar, Mozzarella, Parmesan cheese which made me feel so mad with myself. Staring at these packets of cheese in the freezer I was determined to use them up, every piece of them. Not wanting to bored DinoPapa and DinoBoy with cheesy baked rice or creamy pasta, I started to think how else can I use them up. 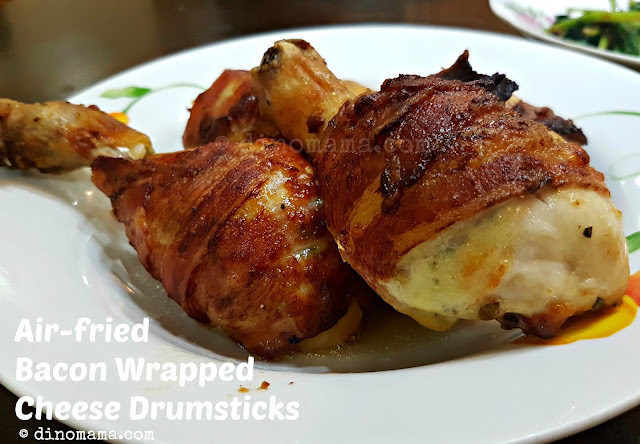 And there we have it - Bacon Wrapped Cheese Drumsticks! 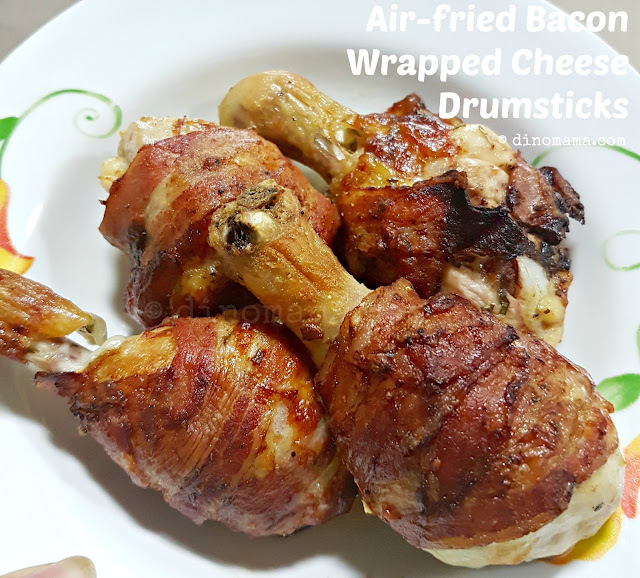 Air-fried juicy tender drumstick with crispiness greasy smokey bacon and a little bit of stringy Mozzarella cheese. Oooo~~ just by looking at this photo I have an urge to sink my teeth into those drumsticks! That is how good there are! For the main ingredients, l only have to get the big nice drumsticks because I found a packet of streaky bacon in the freezer (Yes, my "buy - stuff into freezer - forget about it - dig & discover weeks later" habit hit again) and I could harvest 10 to 12 basil leaves to get about a tablespoon of minced basil that is needed for the stuffing. 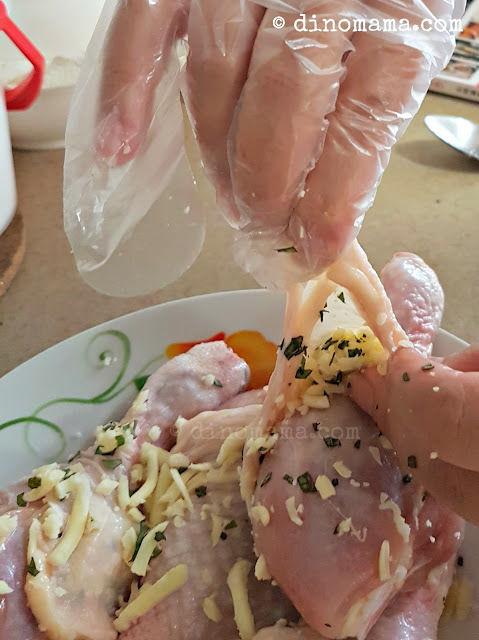 Side note on chicken, if I am doing bake chicken dish I will go for Halal chicken because of the way the chicken is prepared. 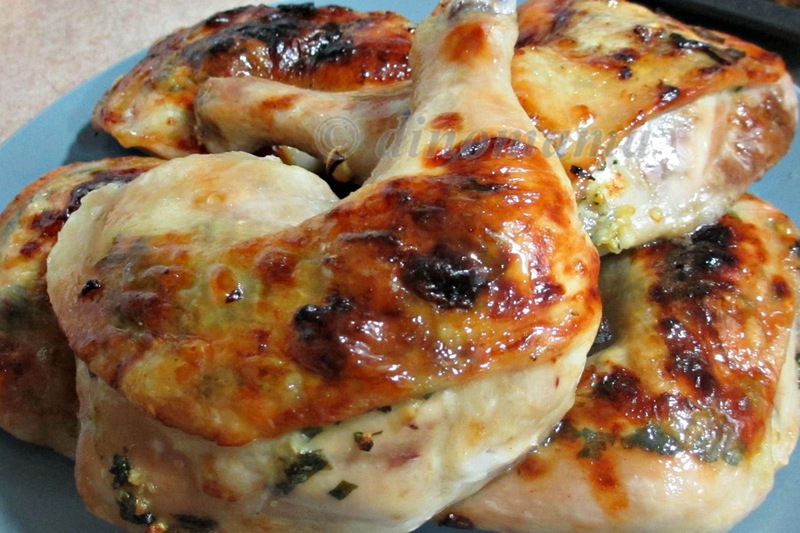 There are no blood nor frozen blood in the chicken parts which may become messy or unsightly after they are baked them. 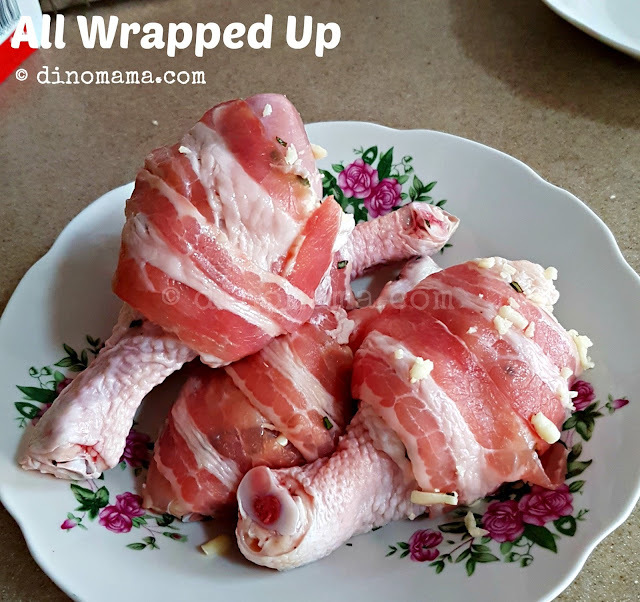 Next, grab the bacon and start wrapping it around the drumstick starting from the top all the way down towards the feet area. Remember, don't pull it too hard lest you break the bacon, not too loosely too otherwise the bacon will not "stick" to the chicken. 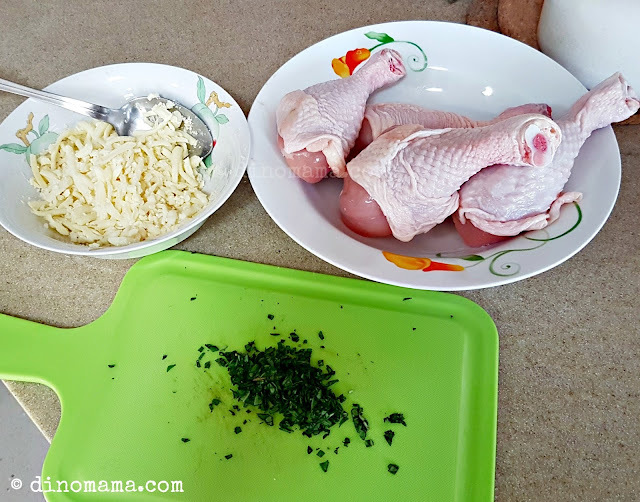 Mix the ingredients for the marinade and brush them all around the drumsticks. Since streaky bacon has some salt in it you can opt not to add in salt in the marinade. Set airfryer to the temperature of 160deg and timing for 30 minutes; I'm using Philips Avance XL air fryer. Fold a piece of aluminum foil into bowl-like, greasy it and place the drumsticks on top. Cover it with another piece of aluminum foil to prevent the heat from burning the bacon. I forgot about this and got myself a blacken bacon on one of the drumsticks. 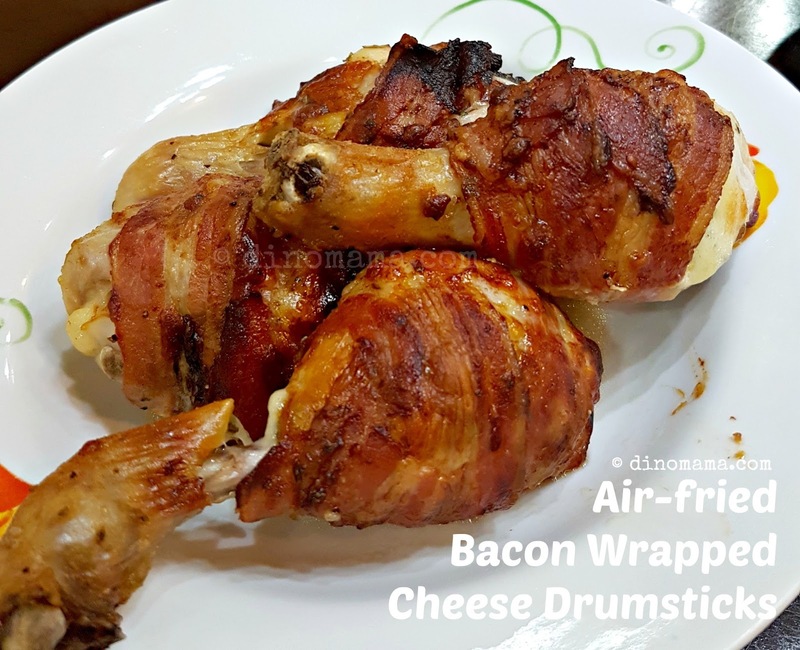 While the drumsticks were cooking, the aroma of chicken and greasy bacon made DinoBoy came into the kitchen trying to find the source of "that delicious food smell". 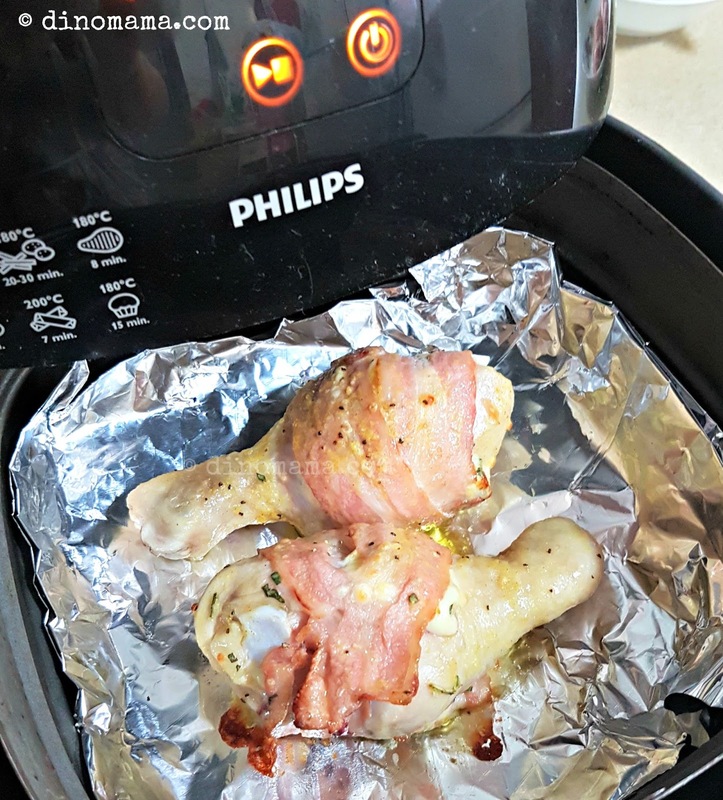 He opened up the air fryer to check out the food; yes, you can open up the Philips Airfryer to check the food without compromising the cooking, was licking his lips and went "Mmmmm~~ drumsticks~~~ " He really attacked the drumsticks the minute he sat down at the dining table. And he said "this drumstick taste soooo good and delicious!" while chew on the meat. Even DinoPapa also gave it a thumbs up. 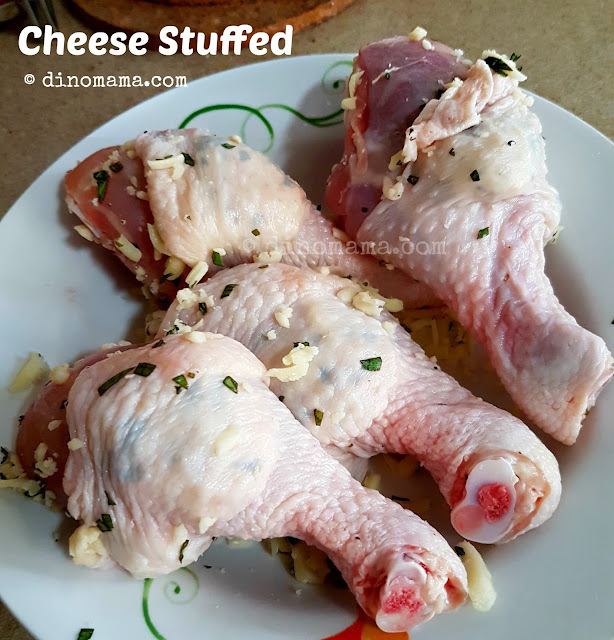 If you like to make this but does not have an air fryer or you need to prepare a bigger quantity, you can still do it on your oven. Just change the temperature to 200 deg to bake for around 25 mins and change the setting to top heat at the last 5 to 7 minutes. 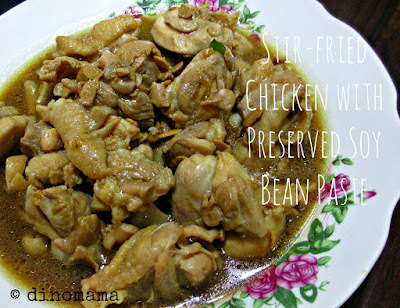 This is a recipe to keep for our family even though its sinful it is sort of a comfort food especially you have a craving for greasy food. 1. Mix Mozzarella cheese with minced basil together. 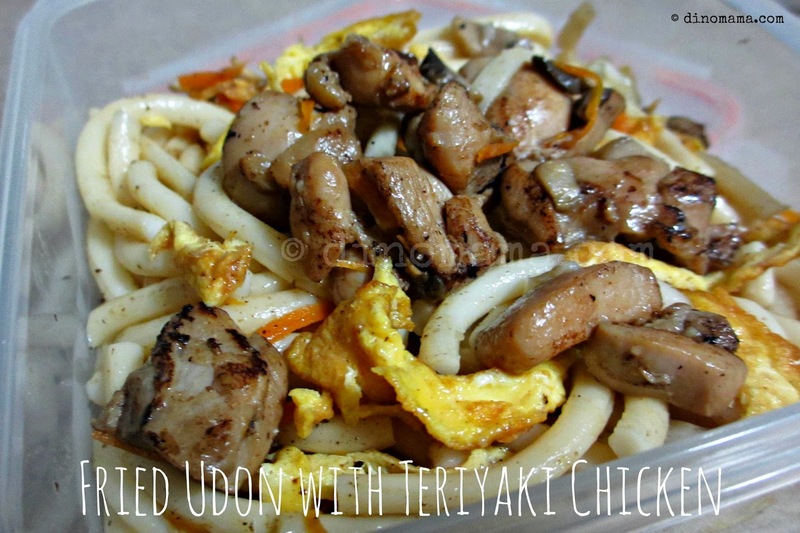 Pull up the chicken skin and stuff the mixture in. 2. Wrap 2 streaky bacon one after another around the drumstick, ensure that the bacon is wrap nicely on the drumstick, not too loose nor too tight. 4. Fold a piece of aluminum foil into a small bowl to fit the air fryer basket, spray some oil on it. 5. Place the drumsticks on the foil, and cover it with another piece of aluminum foil to prevent the bacon from getting burnt. 6. Air fry the drumsticks with 160Deg for 30mins or till the drumsticks are thoroughly cooked. Poke them with a fork to ensure bloody water flows out.